Tesla announced this morning that it’s issuing a voluntary recall for Model S and Model X SUVs built between February and October 2016 over a potential manufacturing issue. Specifically, it’s related to a gear in electric parking brakes that could’ve been manufactured improperly, and, if that gear breaks, it might prevent the brake from releasing. The automaker said it doesn’t believe the issue could lead to a safety concern customers, and there hasn’t been any report of an accident or injury related to it. But it’s asking affected customers to bring in their vehicles to have their brakes replaced. 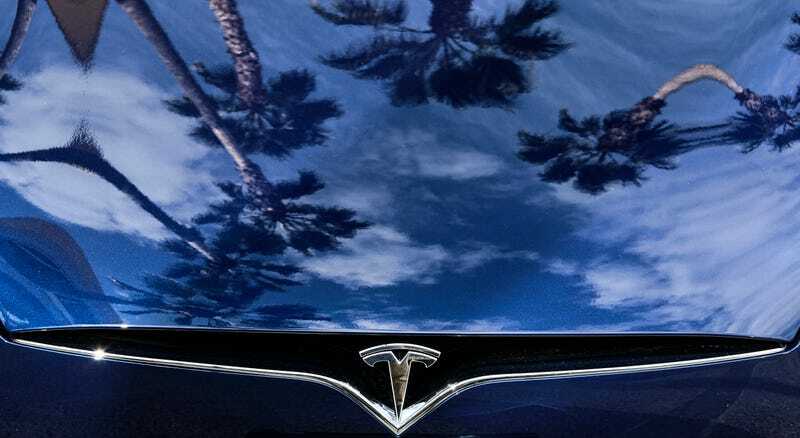 “However, in order to be overly cautious, we are going to be proactively replacing these parts to ensure that no issues arise,” Tesla said in the email to owners. The company said it plans to continue to work with Brembo. The National Highway Traffic Safety Administration has already been notified of the voluntary recall, according to Tesla. Tesla said its goal is to have all replacement parts by October 2017. Update: The post has been changed to clarify that the number of vehicles Tesla believes could be affected by the parking gear is around 2 percent.